When I decided to attend the August edition of this year’s well-known Palm Springs shindig “Splash House,” I was not sure what to expect. I Google searched for hours looking up previous years sets, outfits, and of course, survival guides and what to bring to make the most out of the weekend. Having attended Coachella since 2013, I was no desert festival newbie, but this seemed like a different scene entirely. When I drove up Saturday morning and walked into the two venues – the beautiful Riviera and Saguaro resorts, I was not disappointed. 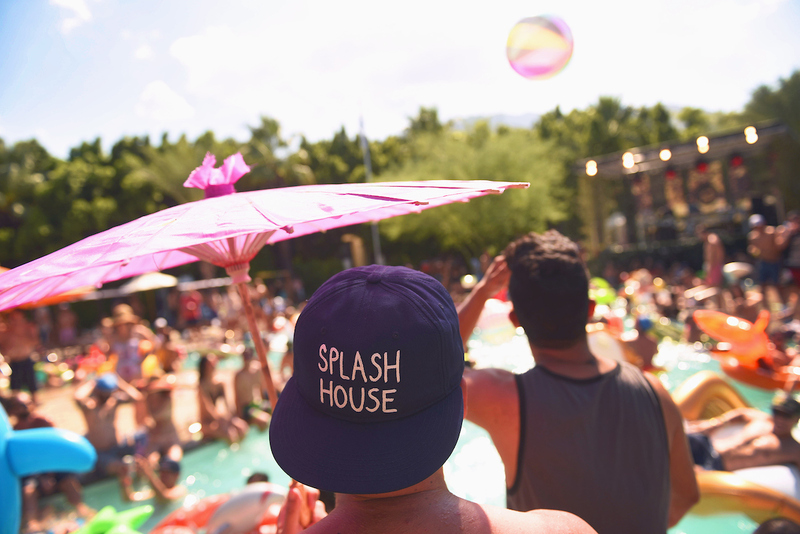 Yes, Splash House was crowded, but the crowd was fun, lively, and very attractive. The scene was kaleidoscopic, with nothing but multicolored unicorns, flamingos, donuts, and swan floaties as far as the eye could see. 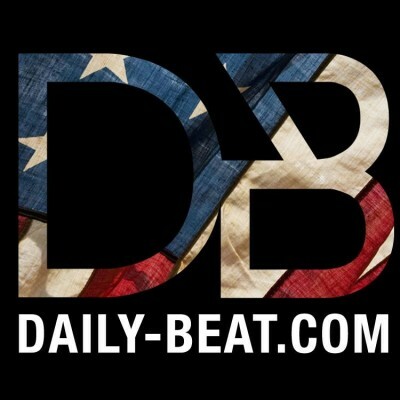 I opted for a giant pink flamingo, which came in handy when I decided to dip in the pool and relax to the summery, tropical vibes of the DJ’s spinning, while sipping on a chilled, refreshing mixed drink. 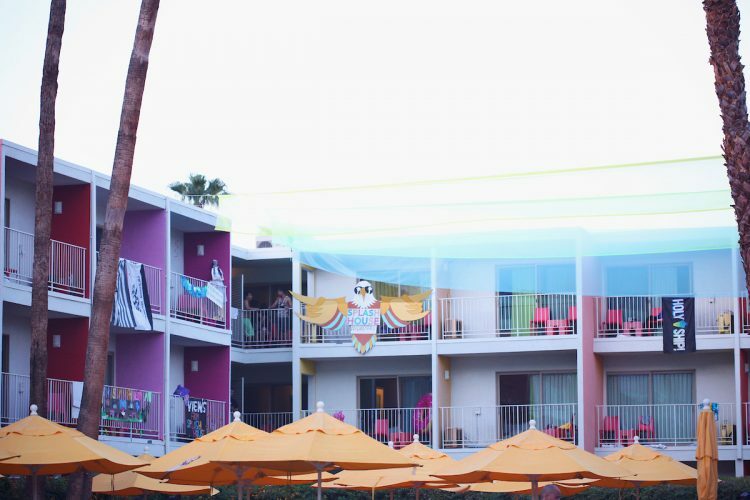 The different hotel venues were decked out for the festivities and the balconies of the Saguaro were decorated with themes like Pokemon, pirates, Game of Thrones, even Hilary Clinton, Trump, and the deceased Harambe (RIP) managed to make it onto a few balconies. Getting from the Saguaro to the Riviera pool was also easy, because there were shuttles running every few minutes between the two hotels. Outside of the pool, the heat was killer (a toasty 113 degrees), but in the pool everything felt just right. As my friends and I lounged around on our floaties listening to the likes of Jey Kurmis, Durante, Vanilla Ace, and Viceroy, all of our worries seemed to float away. As, the sun began to set, the party went from beachy, day rager to full out night disco dance party. The last set we saw at the pool was Snakehips, which was the perfect way to end the day. 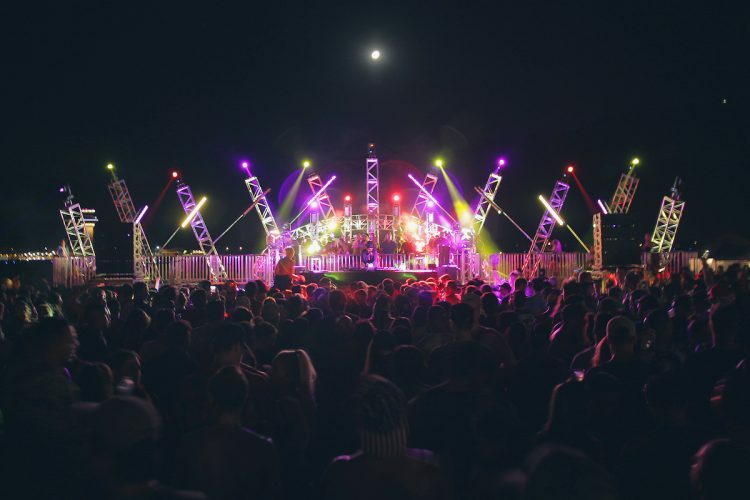 When the pool party died down and the sun set, we headed to the Air Museum for the “After Hours.” Landis LaPace, Kastle, Chris Lake, and Claptone were playing and they did not disappoint. Surrounded by vintage airplanes and the starry desert sky, the scene was unreal and like nothing I had experienced before. The stage production and lights were low-key, but perfectly fitting considering the vibes and the chill music being played onstage. There was even an outside bar with a person handing out free drink tickets to make sure attendees stayed hydrated. I can honestly say this was probably one of my favorite parts of Splash House. Despite the heat, I would recommend Splash House for anyone who wants to end the summer with a bang. 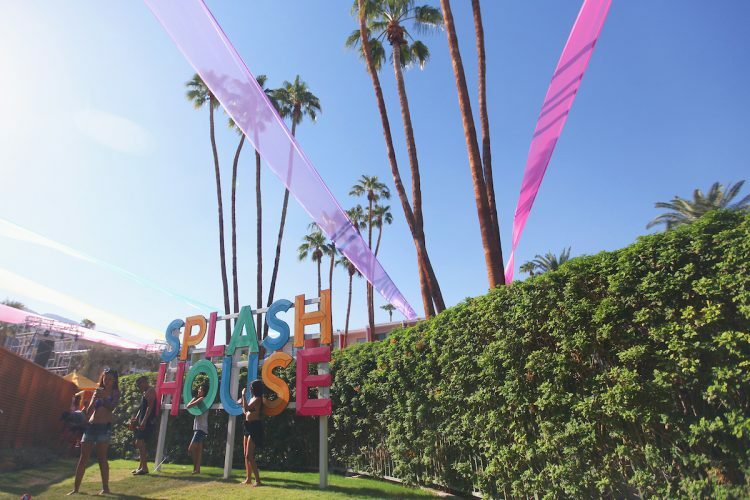 The music was fantastic, the attendees were wild, and the hotels were so fab and decorated, it was impossible not to enjoy the little musical desert oasis that is Splash House.